To order more than 1 of any item Add to Cart then enter the quantity you want. For the brilliance of Neon without the fragile glass and hazardous gasses, Gemini offers NEWON. 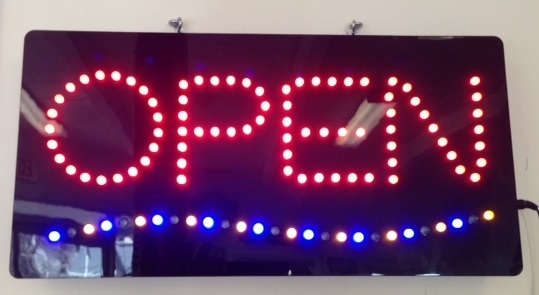 This revolutionary technology uses light emitting diodes (LED's) to create a lightweight, shatterproof, longer lasting and more energy efficient sign. 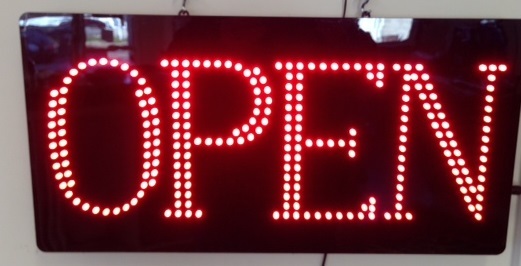 Sign Size: 26.25" x 9.75" x 2"
Includes 12v DC 1.5A power supply, all installation hardware and a three year manufacturer's limited warranty. Sign Size: 13.25" x 6" x 1"
Includes 12v DC 0.8A power supply, suction cups for installation, and a three year manufacturer's limited warranty. 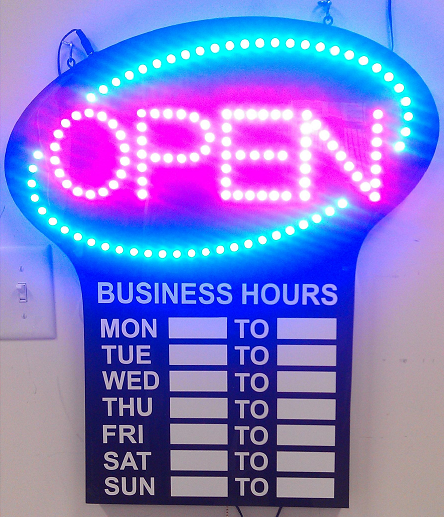 Sign Size: 23.5" x 20.5" x 1.2"
Includes 12v DC 2.5A power supply, all installation hardware and a three year manufacturer's limited warranty. 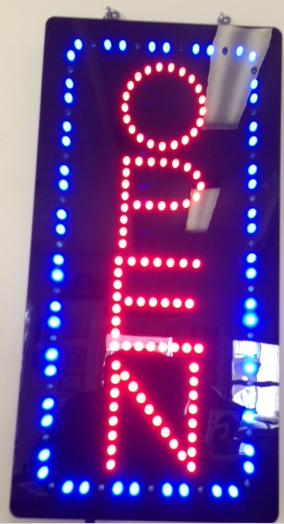 Sign Size:28.5" x 13" x 2"
Available with raised 8" red letters with a raised blue border. Uses 3 25w incandescent light bulbs, and can be set to fixed or flashing. Includes power supply, all installation hardware and a three year manufacturer's limited warranty. Advertise and inform with these scrolling message centers. Each model allows you to program your own custom message with an easy-to-operate remote control or connect directly to a compatible PC or network with the included software. The scrolling characters are 2" tall with 26 pre-programmed messages and graphic effects, all signs are capable of producing characters in 16 different colors and have a 32,000 character memory. Sign Size: 4.5" x 20.5" x 1.875"
Includes: 9v AC 2500mA power supply, mounting hardware, and one year manufacturer's limited warranty. Sign Size: 4.5" x 28" x 1.875"
Sign Size: 4.5" x 39.5" x 1.875"